Here are the many features available from Boston Global Tracking. 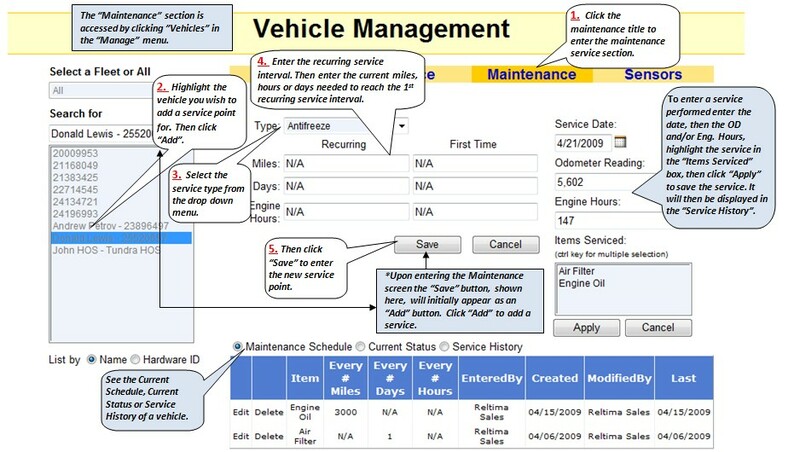 Our maintenance module allows you to build custom service points and intervals for your fleet and assign them to your vehicles quickly and easily. Our “First Time” feature allows you to enter the remaining miles /hours/days until the first newly entered service then the system will start the specified counter as defined in the system. For operators of heavy equipment we allow service points to be tracked by elapsed engine hours. This makes it possible to remotely monitor engine activity for your bulldozers, backhoes and other construction assets – eliminating the need to assign field technicians to handle this task. Our maintenance alerts ensure that you have adequate notification of upcoming service due and our early warning system gives you the option to receive periodic updates before the actual date of service. 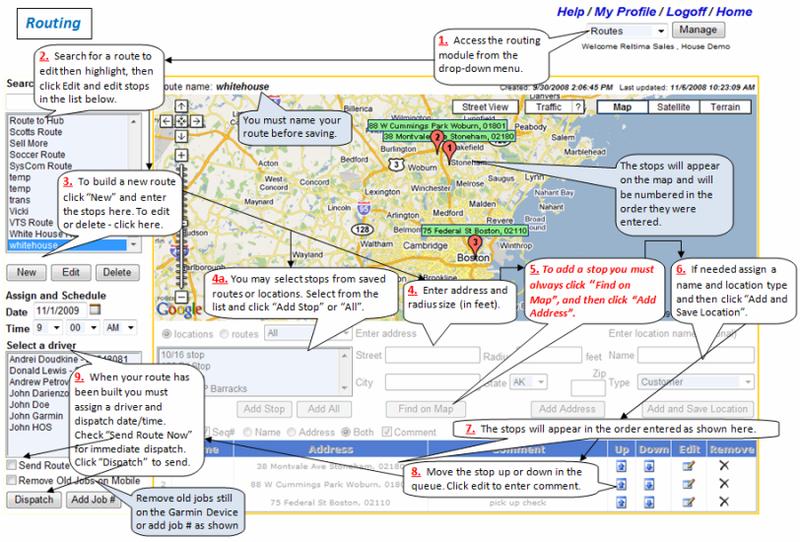 Our Routing module will give you the ability to set-up a route, save it and dispatch the route to one of your drivers. Once a route is dispatched it is displayed in the vehicle, on a Garmin navigation device, with voice guided, turn-by-turn directions to each listed stop. Text messages may also be sent to the Garmin device independently or with the corresponding stop. As your vehicles progress through their routes you can check their current status and compliance by viewing the dispatch tab. Routes can also be dispatched at future dates and times as needed. Our ability to integrate with your 3rd party routing software also gives you the ability to send your routing data to our CountryWide fleet management application for insertion into our routing module. 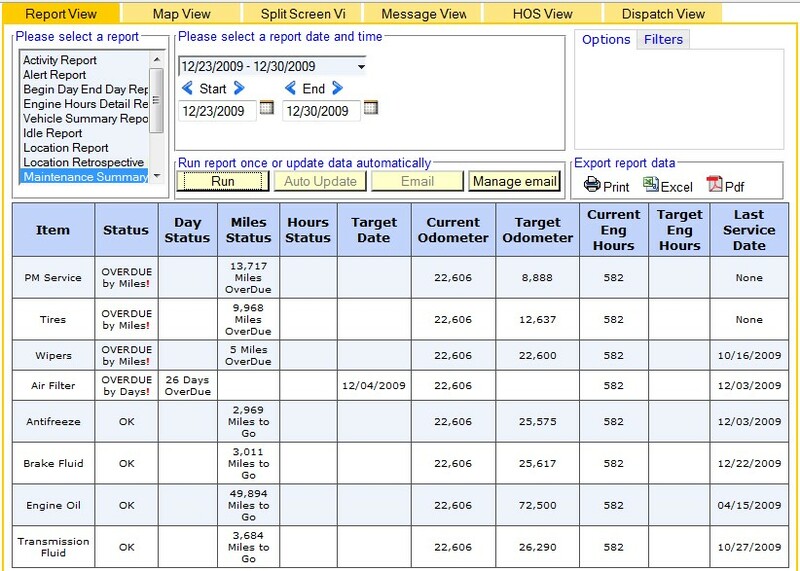 This ensures you will receive accurate “real-time” updates with reference to your vehicles’ route activity. Our messaging module enables two way communications between you and your mobile workforce. 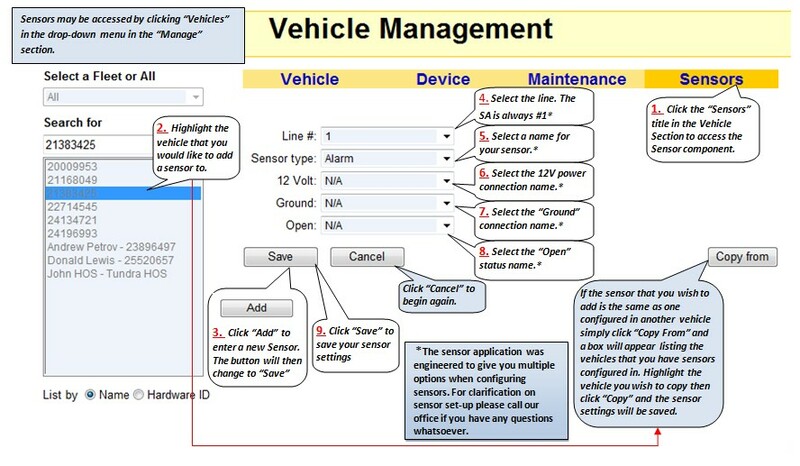 Messages can be sent to individual vehicles or entire fleets. Drivers can respond as needed and may also send messages of their own back to your operations personnel. Our “canned” messages feature offers you the ability to send pre-defined saved messages to your mobile personnel. They can reply with specific “canned” responses you have selected for that message. Use of the CountryWide messaging module reduces the need to use cell phones to contact your mobile workforce and can provide recorded validation of communications activity with your mobile personnel in the field. possible to see “Enroute”, “Arrival” and “Departure” times for your vehicles at each stop on their route. This gives you the data you need to make adjustments to ensure your response times are at optimum levels. Using our dispatch module will remove the guesswork involved in determining your vehicle locations and their position in relation to the stops on their routes. 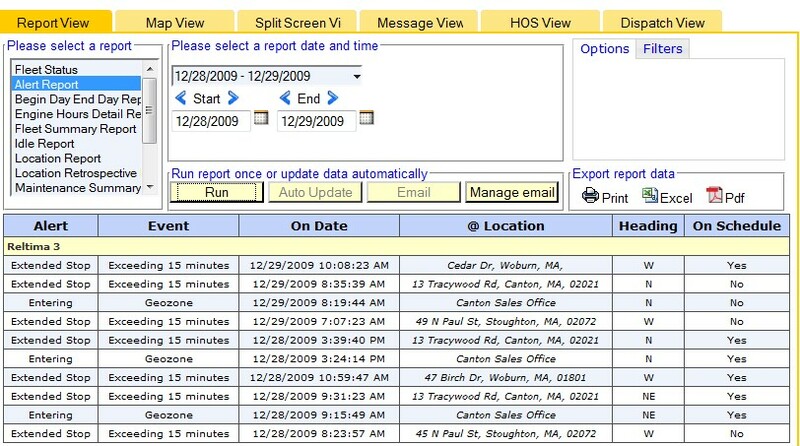 Now when a customer calls to ask about the arrival time of your mobile personnel all that is required for an accurate answer is a quick check using the dispatch module.